In fact, instead of recommending any punitive steps, such as suspension of loan on environmental or livelihood grounds, the ombudsman’s report rejects the view that it is not feasible to “not finance new business activity that cannot be expected to meet the Performance Standards over a reasonable period of time”. Instead, the IFC is allowed to take its own decisions on merit, and whether to “move forward with the investment”. The Office of the Compliance Advisor Ombudsman (CAO) for the IFC submitted its audit report on August 22, which was made public on October 23. The refusal to take steps against IFC comes despite the CAO report refers to how Tata Power has overlooked the need to take a detailed view of environmental destruction of the region and adverse impact on the marginalized communities, especially fisher people. The CAO particularly states to how MPSEZ, which is “a major industrial development”, and its owners, the Adani Group, “have been the subject of multiple allegations of environmental wrongdoing in recent years, particularly in relation to the destruction of mangroves around MPSEZ”. 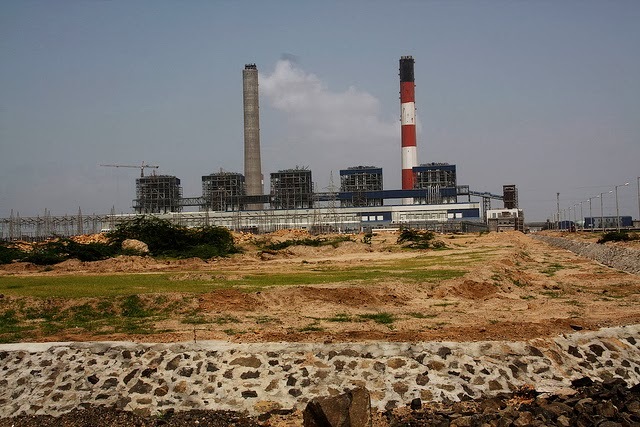 The CAO’s decision to soft-pedal on Tata Power’s project came despite the fact that a high profile NGO report submitted to it which warned of “pollution from Indian coal-fired power plants, especially fine particulate matter (PM10) and oxides of nitrogen (NOx) and oxides of sulfur (SOx)”. The study expressed concern over “environment of the region and livelihood of the local people.” The report stated that the impact of pollution will in future be felt from both the power plants, as both are coal-fired.